The International Conflict Research (ICR) group at ETH Zurich conducts research on international and domestic conflict around the world under the leadership of Prof. Lars-Erik Cederman. In recent years, the group’s members have been investigating the role of ethnic groups in conflict processes, especially civil war. Our current research focus is on the link between ethnic inequality and conflict, as introduced by the book Inequality, Grievances and Civil War. The broader research agenda covers macro-historical processes such as nationalism, state-formation and democratization. To support this research, we collect and integrate data on ethnic groups and conflict, such as the EPR dataset, which can be accessed through the GROWup online web platform. 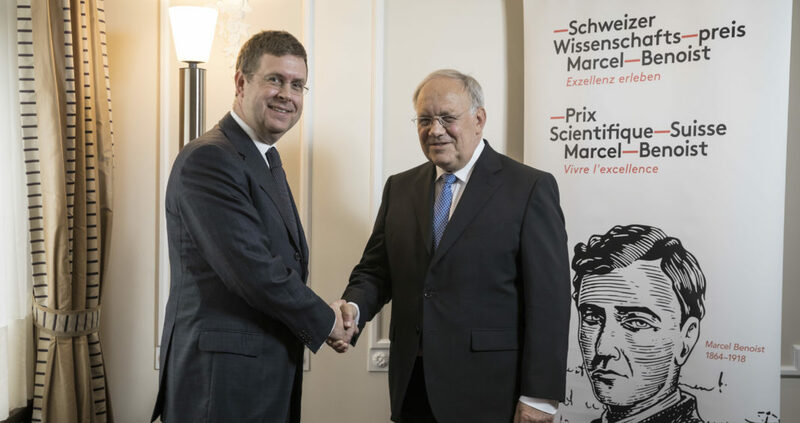 On September 3, 2018, Federal Councillor Johann Schneider-Ammann announced that Lars-Erik Cederman has been awarded this year’s Marcel Benoist Swiss Science Prize. Perceived as the most important science prize in Switzerland and sometimes called the "Swiss Nobel Prize", this is a wonderful recognition of Lars-Erik Cederman's scientific œuvre. How does nationalism change the state? As part of his ERC Advanced Grant, Lars-Erik Cederman, Professor of International Conflict Research, proposes a new theory of nationalist state transformation. He aims to test this theory using historical maps and archival data selected using machine learning. In the ERC project, he examines how states emerge, how nationalism alters external borders and inner structures, and how such processes interact with warfare. Cederman plans to use the results to estimate the extent to which particular political reform proposals – such as territorial division or power sharing – can reduce emerging risks of conflict. The findings will be especially relevant to multi-ethnic states. The ICR group is a member of the Center for Comparative and International Studies (CIS) and collaborates with researchers worldwide through various research projects.